If you’ve always dreamed of visiting Rome, than there is no better time to make your dream come true than the fall. 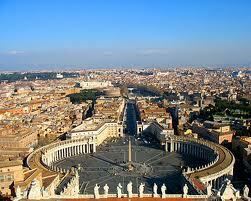 Rome is one of the most beautiful cities in the world and every year millions of people visit from all over the world. Filled with wonderful treasures and masterpieces of Roman art and architecture, its no wonder why the Eternal City is such a popular tourist destination. Traveling in the spring and fall are the optimal times of the year to visit Rome because of the unbearable heat in the summertime and August is usually when most of the city’s residents take their own vacations so most businesses are closed during the whole month. In the fall the days are still pleasantly warm and the nights are cool and comfortable. When you visit Rome you need to make sure you have at least 4 days to see all of the sights, you won’t be doing your visit justice by running around and trying to cram all of your sightseeing into less than 4 days. As the saying goes “Rome wasn’t built in a day”, and you should try to cram all there is to see into a day either, you’ll wind up missing some spectacular sights. “When in Rome do as the Romans do”, unless your are talking about driving. It is strongly suggested that when you are in Rome you take advantage of their public transportation or if you have extra money take a cab or hire a car, of course you can rent a car and drive yourself around if you have nerves of steel and the sills of a professional racecar driver. When choosing where to stay in Rome it is a good idea to stay in a hotel that is in the heart of the city. You will be thankful you chose a hotel that lets you walk out the door and be within a short walk to the attractions you want to visit. A good rule of thumb is to stay east of the Tiber River and west of the Station Termini. Hotels in this area can be a little pricey but you can also find some great discounts on Travelope.com that will keep your stay within your budget. You won’t go hungry in Rome. The city is literally overrun with great places to eat. Most restaurants in Rome will have outdoor dining and the meals usually consist of pasta, pizza, veal, chicken and some seafood, one thing you can count on is the food is fresh and plentiful. Rome is the kind of city you want to take your time savoring. When you are planning your trip make sure you allow yourself enough time to take in all of the sights at a relaxed and enjoyable pace. With Novotel ... Roman holiday scents!